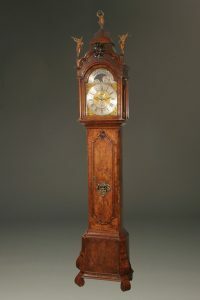 Antique Dutch tall case clock with burl walnut case.Antique Dutch tall case clock with burl walnut case. 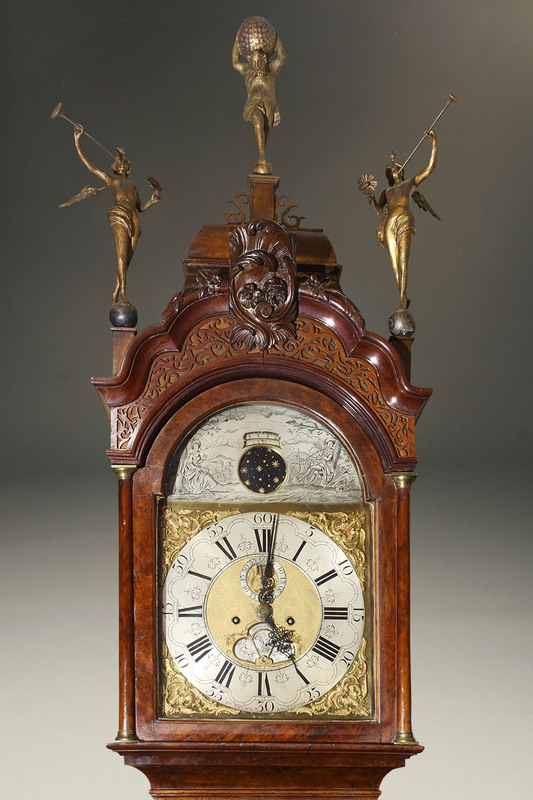 This Dutch tall case clock is absolutely magnificent. 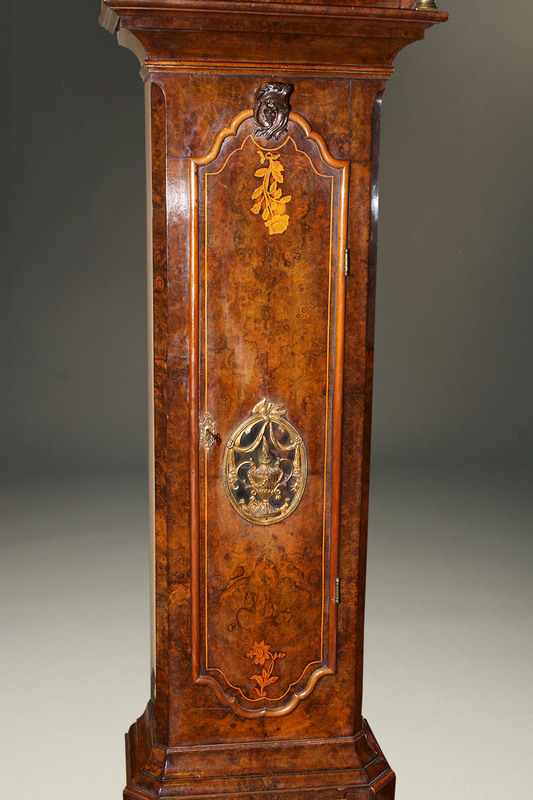 The burl walnut case is adorned with bronze mounts and beautifully inlaid details depicting flowers. 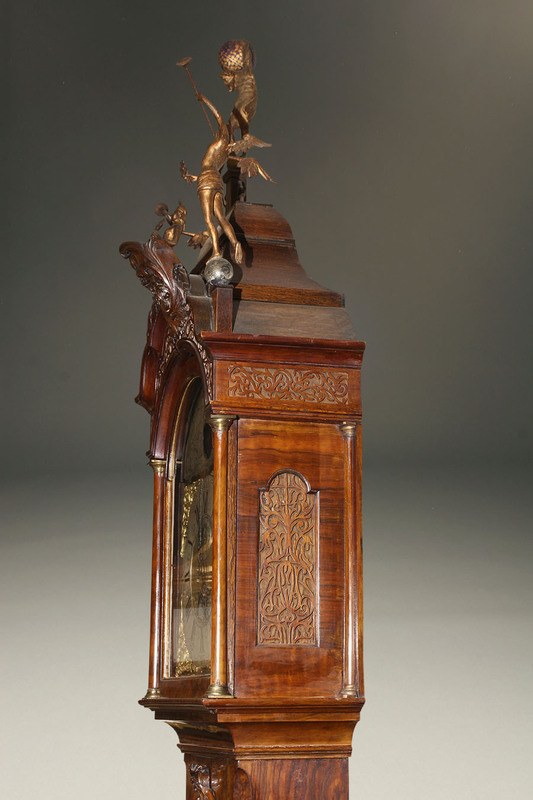 The top (hood) of the clock is particularly fine with it’s delicate fret work and hand carved Atlas supporting the earth along with trumpeting angels. 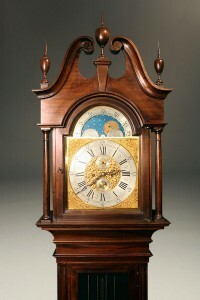 The quality and elegance of this clock is also evident with the dial. 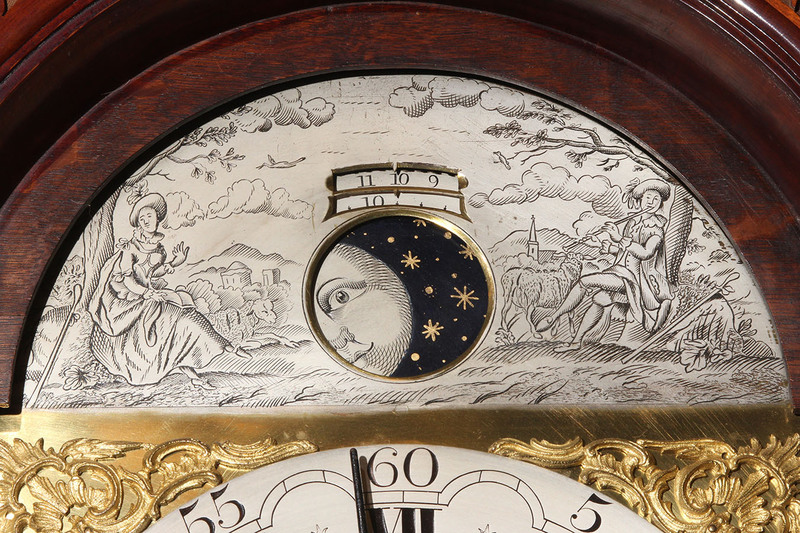 Hand engraved on the top of the dial is a country scene depicting a gentleman playing a flute for a lady. 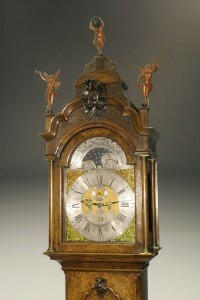 Between the two figures is an aperture through which an operational moon dial may be viewed. 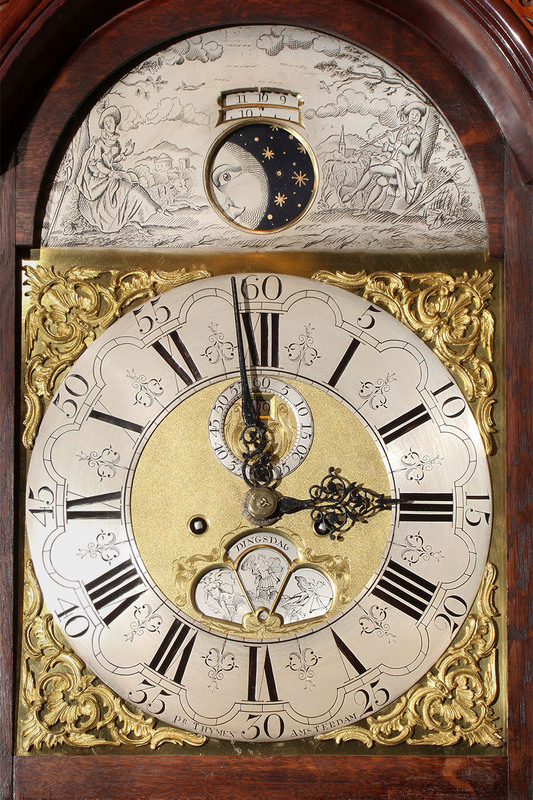 The main body of this brass dial is made up of four cast brass spandrels, silvered chapter ring and seconds dial, and two windows: one showing the day of the month and the other displaying the day of the week. 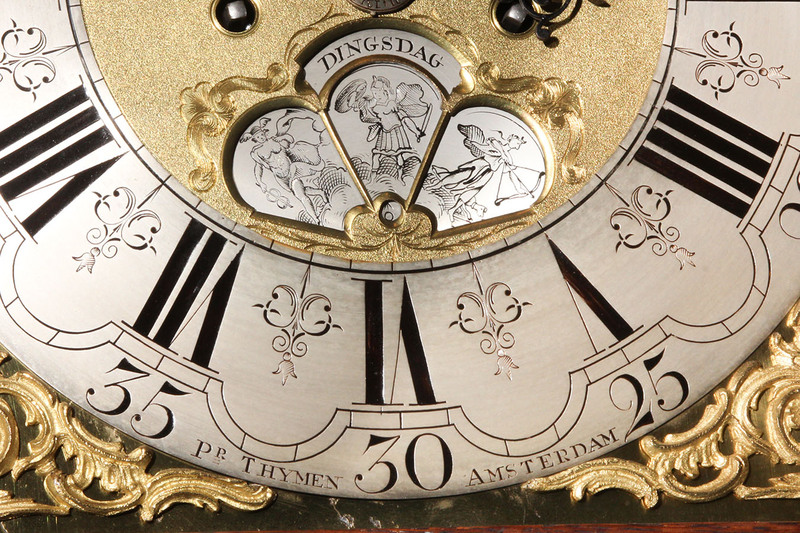 It should also be noted the chapter ring bares the name of the clockmaker and city of residence: PR Thymen, Amsterdam. 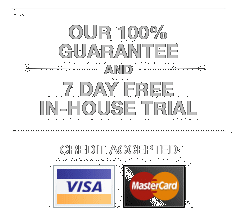 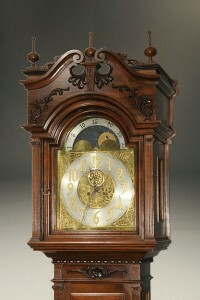 The weight driven movement will run 8 days per winding. 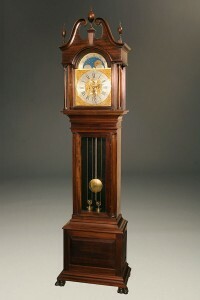 The clock strikes the hour on a bell at the hour and and on a higher pitched bell strikes the coming hour at the half hour. 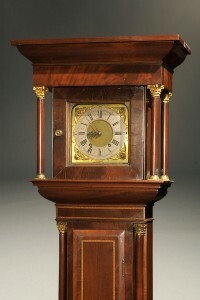 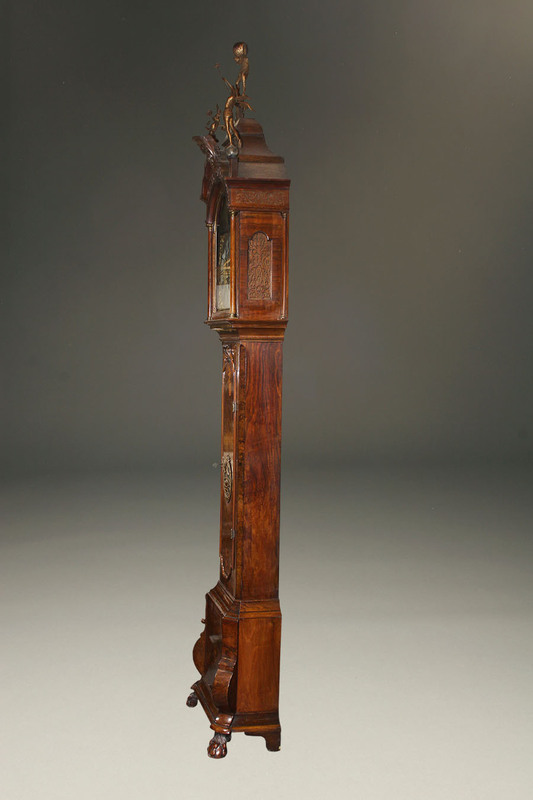 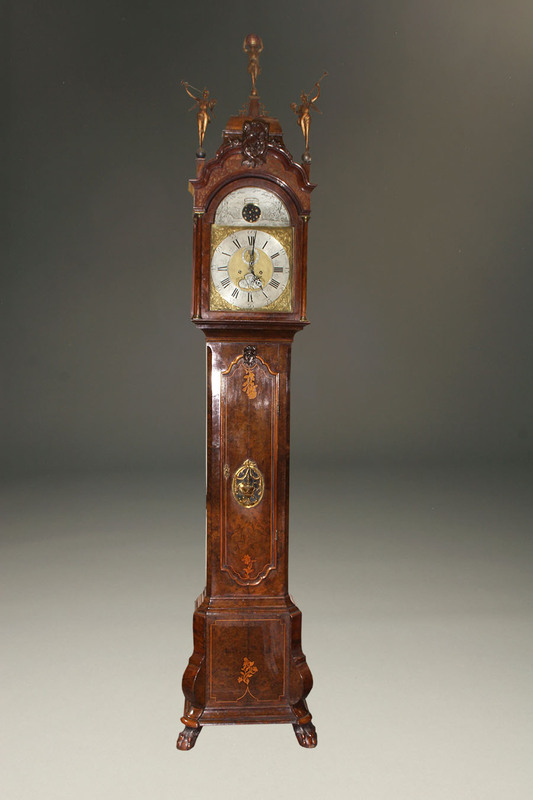 Late 19th century Watham tall case clock. 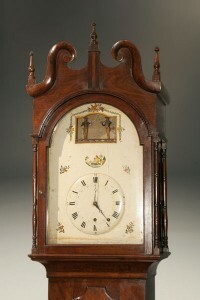 Magnificent 18th century Dutch tall case clock. 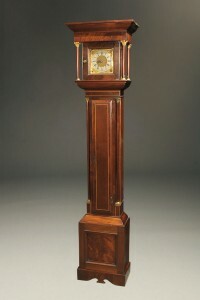 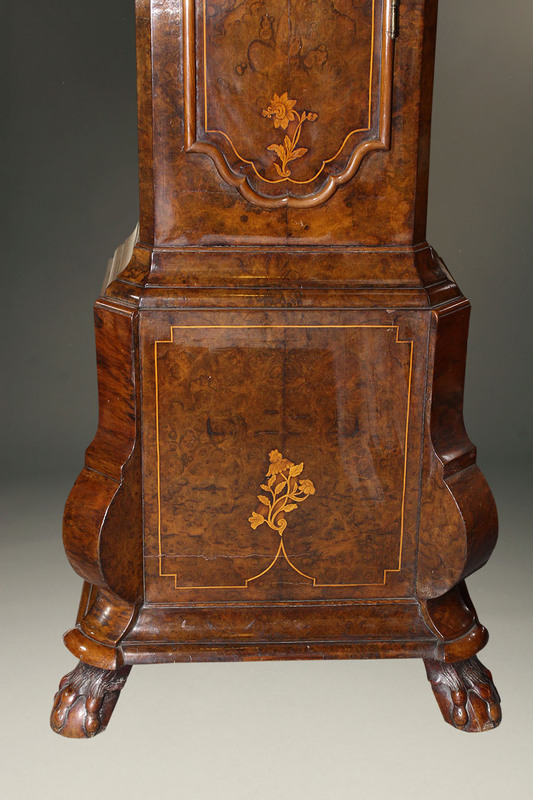 18th century English tall case in Mahogany.